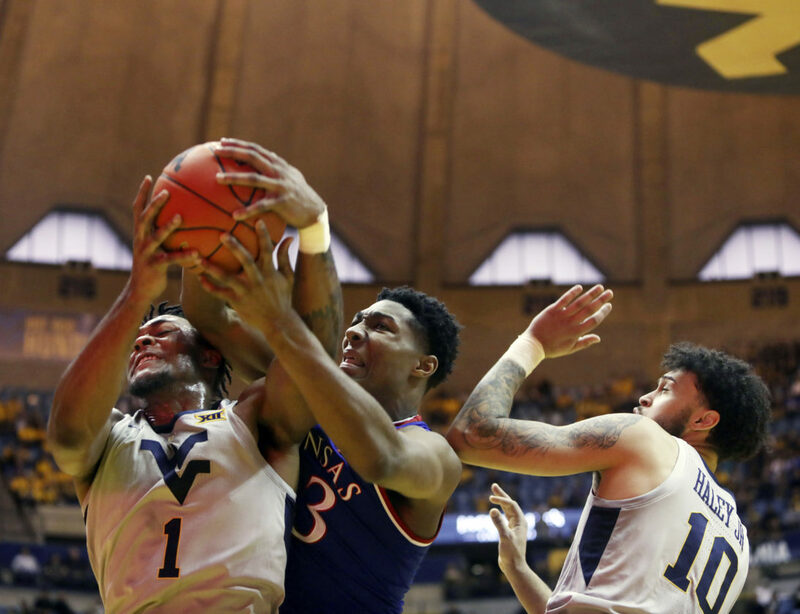 West Virginia forward Derek Culver (1) and Kansas forward David McCormack (33) fight for a rebound during the first half of an NCAA college basketball game Saturday, Jan. 19, 2019, in Morgantown, W.Va.
Morgantown, W.Va. — Trips to WVU Coliseum never seem to go too smoothly for the Kansas basketball team, and the Jayhawks’ experience against West Virginia on Saturday afternoon was no different. Jermaine Haley’s layup in the final seconds proved to be the game-winner for the victory-starved Mountaineers, who picked up their first Big 12 win, 65-64. Dedric Lawson came through with his 12th double-double on the year, contributing 15 points and 1 rebounds for the Jayhawks (15-3 overall, 4-2 Big 12). Haley led the Mountaineers (9-9, 1-5), with 13 points. • The game turned when: The buzzer sounded. Turnovers ruled the day most of the first half, with both teams struggling to find any semblance of rhythm. 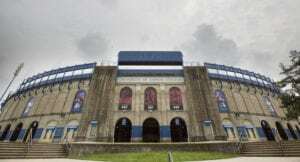 After KU coughed it up 13 times before halftime and WVU did its share, with eight giveaways, the two teams that entered the day on opposite ends of the Big 12 standings headed to the locker room with the game tied at 23. Neither team could create any confidence-boosting separation during the majority of the second half, either. Fortunately for WVU, college basketball games only last 40 minutes, and the Mountaineers were in the lead when the game clock hit 0:00. When Marcus Garrett drove in for a layup with 2:35 to go, it gave KU its largest lead of the game. But WVU had its deficit down to one a little more than a minute later, with a Wesley Harris 3-pointer and Derek Culver layup bookending a missed jumper by Garrett. 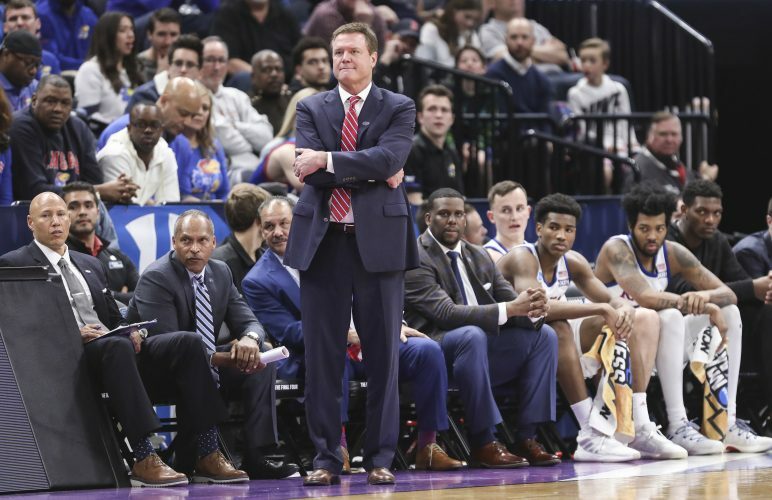 KU missed its final five shots from the floor. 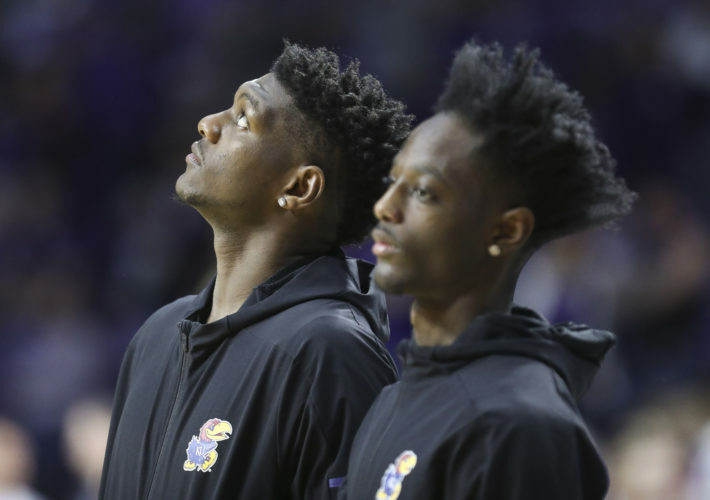 • Offensive highlight: Considering KU missed six layups in the first half and shot 37 percent from the floor in the first 20 minutes, the odds of the Jayhawks delivering some sort of jaw-dropping plays didn’t look too good. 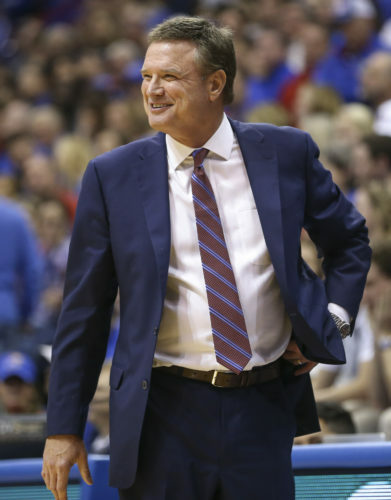 However, just as he did earlier in the week during the Jayhawks’ home win over Texas on Big Monday, sophomore guard Marcus Garrett proved he can do more than defend and facilitate. Garrett attacked the rim from the top of the key by first blowing past a closeout. When a pair of Mountaineers slid into the paint to attempt to cut off Garrett, he jumped in between them, creating the air space he needed to get off his layup. As pretty a lay-in as you’ll see topped off the crafty finish, as Garrett extended his right arm to scoop the ball off the glass with enough English on the attempt to score from an odd angle. • Defensive highlight: Garrett’s anticipation and strong hands came in handy often for KU on the road. During one rough sequence that was characteristic of the first half, KJ Lawson missed a 3-pointer and WVU big man Derek Culver grabbed the defensive rebound. But when Culver looked to pass the ball to a nearby teammate, Garrett jumped the passing lane with ease for his third steal of the first half. The heady sophomore guard immediately dished to KU freshman big David McCormack for a layup. Garrett pulled it off again in the final minute, too, helping make up for a shot he just missed with KU up just a point on the road. Garrett finished with six steals, three assists and 15 points. • Key stat: Points in the paint. Much of the afternoon it seemed like the yellow portion of WVU’s court was the only are from which either team could get a shot to fall. WVU scored 20 of its 23 first-half points inside and beat the Jayhawks in that category 20-16 during the game’s first 20 minutes. Kansas did a somewhat better job of keeping the Mountaineers out of the restricted area in the second half. WVU scored 14 of its 42 second-half points in the paint. Final points in the paint tally: WVU 34, KU 32. 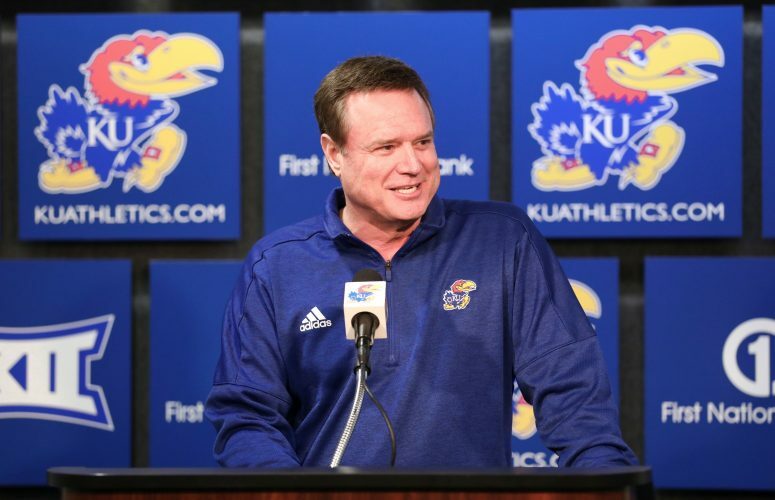 • Up next: The Jayhawks will be back in Allen Fieldhouse Monday night to take on Iowa State.